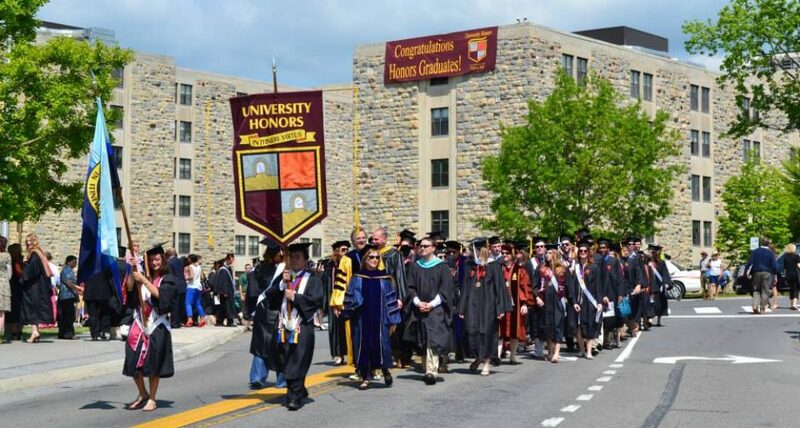 Editor’s Note: The big news in the honors community is that Virginia Tech will build on its current University Honor Program and develop a new Honors College. Tech joins the University of Kentucky as the most recent prominent state universities to expand honors programs to honors colleges. The post below is by Virginia Tech writer Alison Matthiessen. 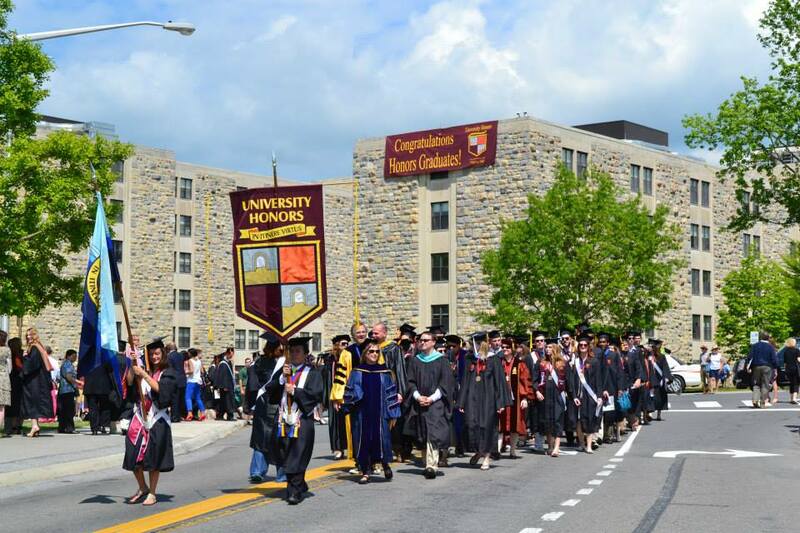 BLACKSBURG, Va., Feb. 5, 2016 – Virginia Tech President Tim Sands announced the university’s plan to transition the University Honors program to an Honors College. Paul Knox, University Distinguished Professor and senior fellow for international advancement, will provide leadership for the transformation, directing the current University Honors program while engaging with the university community to build an Honors College. Sands has tasked Knox with aligning the transformation process with the university’s Beyond Boundaries visioning process, Destination Areas discussion, and InclusiveVT, supporting the university’s vision for a more diverse undergraduate population. Knox will convene a steering committee to look at the transformation process that will engage constituents and stakeholders across the Virginia Tech community. In addition, he will meet with relevant commissions as well as alumni and friends to build private support for this initiative. Once built, a transition plan will be presented to University Council and to the Board of Visitors. Upon the completion of the transition, Sands said Knox will become founding dean of the Honors College. “I believe an Honors college, with high expectations and a collegial atmosphere that encourages risk and flexibility, will significantly enhance the university’s commitment to the open exchange of ideas and the shared belief, regardless of discipline, in a generalized, coherent, communal set of attitudes that are collaborative and intellectual,” Knox said. Provost Thanassis Rikakis said a Virginia Tech Honors College will not award degrees or create a specific curricular structure that would prevent some students from joining based on their chosen major. “We want to ensure the continued collaboration between University Honors and the academic colleges to provide the opportunity for students to build innovative plans of study and to engage in a cross-university collaborative educational curricula and experiential learning environments,” Rikakis said. As a first step in the process, the current honors residential community housed in East Ambler Johnston will be renamed the Honors Residential Community. The name change will not impact the community’s programming or services. This living-learning community as well as the Hillcrest Community will remain part of the new University Honors structure. As the transition unfolds, the university community will be invited to provide feedback and participate in the process. Knox joined Virginia Tech as a faculty member in urban affairs and planning in 1985. He served as dean of the College of Architecture and Urban Studies from 1997 to 2006, before stepping down to focus on teaching and research and serve as senior fellow for international advancement. In that capacity he has served as interim director of the Virginia Bioinformatics Institute and coordinated efforts at Virginia Tech to build long-range strategic plans, including the current Plan for a New Horizon. He is currently a member of the Beyond Boundaries steering committee.